Congratulations to all of the competitors at this year's competition! We would like to say thank you to all of our volunteers, without you our competition would not be possible. Congratulations to all the winning teams at this years Robert Unger ISI Skating Competition. We look forward to seeing everyone again next year for our 49th annual! If you are interested in joining our competition please visit the link below. 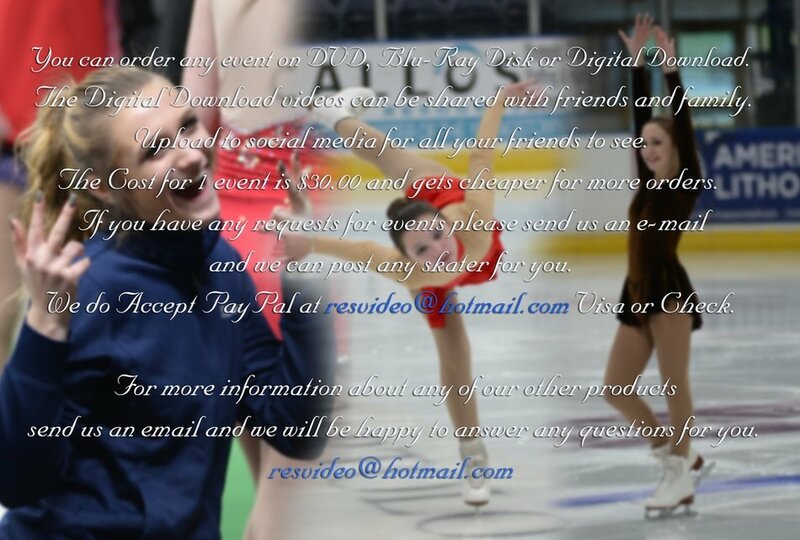 You can send your Photo ID information to resvideo@hotmail.com for ordering. If you are looking for the Digital Image Photo ID please review above. ALL IMAGES FOR YOUR REVIEW ARE IN RAW FORMAT AND HAVE NOT BEEN RETOUCHED!!! You also can download the PDF order form below!